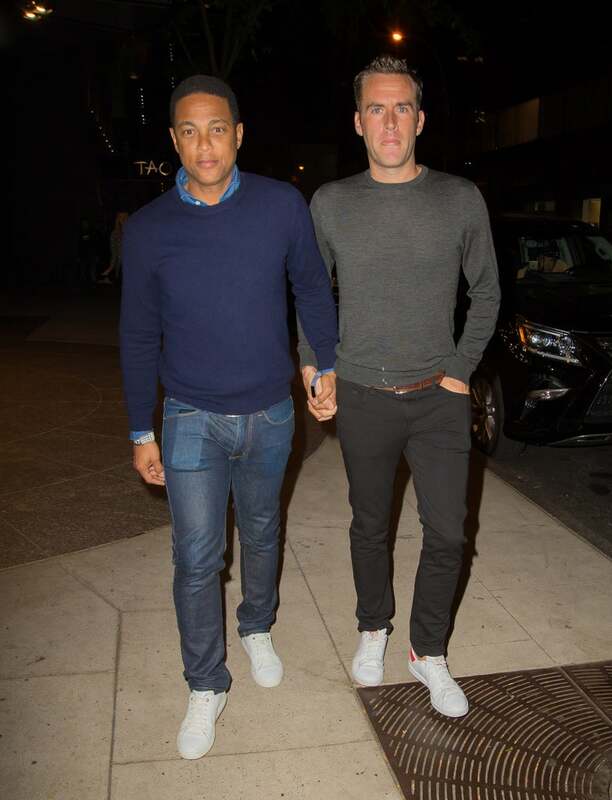 Don Lemon enjoyed a date night over the weekend, attending the Saturday Night Live after-party at TAO nightclub in New York City with boyfriend Tim Malone. The popular CNN anchor held hands with Malone, the two looking handsome in sweaters, jeans and white sneakers. Earlier in the day, Lemon posted a photo on Instagram of the two sporting matching SNL wristbands, writing, "#snl #jayz." The SNL after-party was certainly a star-studded event, attendees including the night's host, Ryan Gosling, and his longtime love, Eva Mendes, as well as the night's musical guest, JAY-Z, and wife Beyonce. For his part, Lemon, 51, appears to be good friends with SNL cast member Kate McKinnon. Earlier this month, he posted a pic of the two smiling at the Emmys, after she won for Outstanding Supporting Actress in a Comedy Series. He also gave a shout-out to McKinnon's girlfriend, Jackie Abbott, in the caption, writing, "Congratulations #KateMcKinnon. And we ❤ Jackie. #Emmys." Beyonce Makes Glam Appearance at 'SNL' to Support Jay Z: Pics!